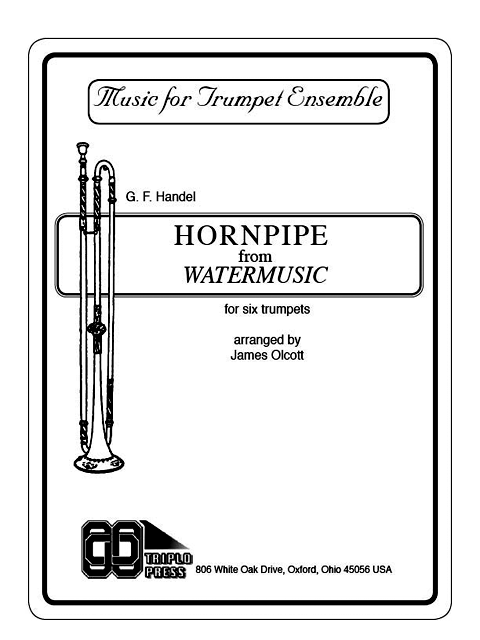 "(The Hornpipe is one of) nine extremely attractive and useful arrangements for trumpet ensembles of from five to nine parts.... simple, straighforward, and require a minimum of rehearsal time. They do not make extreme demands in terms of range or endurance...music is clearly printed, with no awkward page turns. 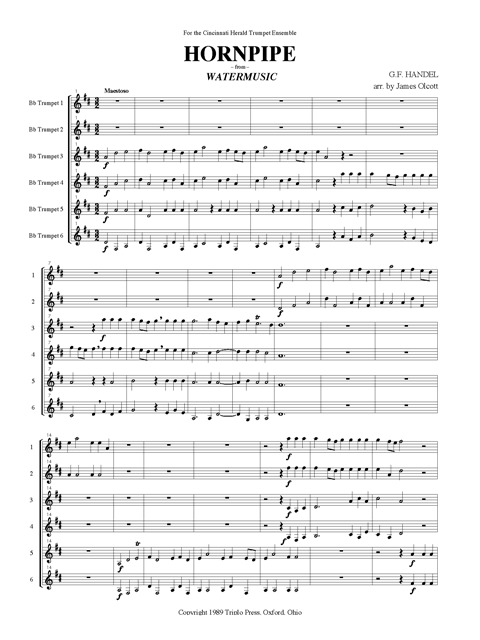 (Olcott) demonstrates his usual expert arranging skill in providing as much variety and melodic interest as possible in the inner parts whilerotating the melody among the players."